This top-up offer will raise £15 million for the longstanding Unicorn AIM VCT. This is the largest AIM VCT, with assets worth over £147 million and investments in over 70 qualifying holdings. Last year’s top-up offer reached capacity within a matter of weeks and this is likely to happen even sooner this time. Unicorn Asset Management is a specialist fund manager with a bias towards smaller companies. 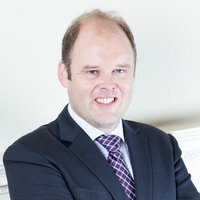 Chris Hutchinson is the senior fund manager and is supported by a team of four plus an experienced investment committee. Unicorn has approximately £1 billion under management. There is no specific dividend target, however the VCT intends to maintain “a steady flow of dividend distributions”. 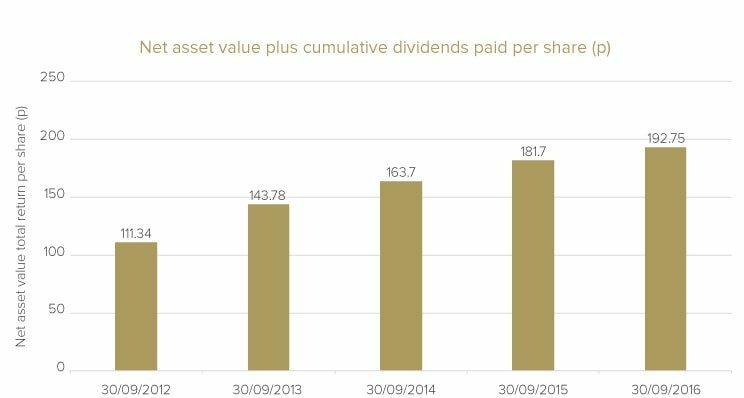 In the last three financial years, the VCT has paid dividends per share of 6.25p, 6p, and 6p respectively. There is a secondary aim of increasing this progressively over time. Unlike many VCTs that pay out virtually all growth in the form of dividends, Unicorn aims for capital growth over time too. 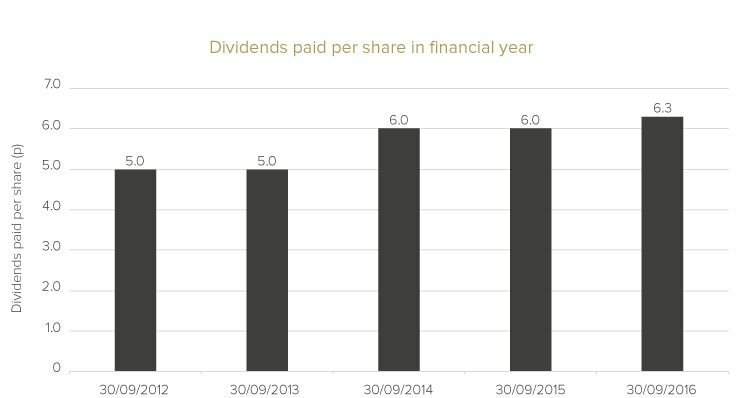 The chart below shows dividends paid per share over the last five financial years. The Unicorn AIM VCT aims to identify companies where management owns a significant stake in the business and has a demonstrable track record of making money for shareholders. Mr Hutchinson is a firm believer that if management has a big stake, they will be focused on the dividends as they are big beneficiaries themselves. Analysing the cash flow is vital – does the company turn reported profit into cash? Currently 75% of the qualifying holdings are profitable and according to Mr Hutchinson, 80% of these will grow their profits in 2017. Interestingly, dividends received by the VCT have more than doubled over the last three financial years, with £1.2 million received two years ago, and approximately £3 million expected this year – please remember past performance is not a guide to the future and dividends are variable and not guaranteed. There are currently 71 qualifying holdings in the portfolio. The top three are Abcam Plc, Tracsis Plc and Mattioli Woods Plc. Abcam Plc is a producer and marketer of high quality protein research tools. Tracsis Plc is a software company for train operators. Mattioli Woods Plc is a wealth manager and pension consultant. In terms of sectors, software and computer services is the largest currently with a 23.8% weighting, followed by pharmaceutical & biotech at 21.9% and financial services with a 9.3% weight. Last year this VCT raised a relatively small amount, £10 million, as Mr Hutchinson was concerned about the quality and availability of new qualifying deals. However, when recently speaking with him, he was pleasantly surprised at the quality of new offers coming to market in 2016. Since the close of last year’s fundraising, he has invested £10.8 million in qualifying deals, £8.2 million of which went into companies new to the portfolio. Mr Hutchinson says these are higher-risk deals than the majority of the portfolio, but pricing is better as they are earlier stage companies. He will limit these higher-risk deals to approximately 10% of the portfolio. Included in the new deals over the last year are Directa plus, Genedrive, and Surface Transforms. Directa Plus is a manufacturer of graphene based products. It is currently pre-profit but according to Mr Hutchinson is on track to be profitable in the next couple of years. It raised £13 million last year and has the financial resources to see it through to profit. The company has various divisions including textiles: graphene can be ideal here as it is versatile, waterproof, light and tough. Graphene can also be used in the manufacture of bicycle tyres, where it was used in last year’s Olympics. Genedrive is a molecular diagnostics company, testing key diseases such as tuberculosis. This is a small investment for the VCT, but a very interesting one according to Mr Hutchinson. Surface Transforms received secondary funding from the VCT. It makes next generation carbon ceramic brake discs. It is attempting to compete with the only real player in the market, Brembo. Sureface Transforms raised money to invest in plant and equipment. The VCT invested £1.5 million. The company has a market size of approximately £20 million, but has done a lot of the hard work already e.g. R&D and mistakes and problems have been ironed out over a number of years. There may be the occasional unquoted investment, for example Unicorn has backed City Pub Company, run by Clive Watson, a serial pub entrepreneur; this company has stated an intention to float later in 2017. The non-qualifying portion of the portfolio will be invested in a mixture of cash, blue chip shares and the range of OEICs that Unicorn manages (note there is no double charging on any investment into other Unicorn managed funds, as the VCT waives the management fee on this portion). Large, blue chip shares are included to help boost dividends received into the VCT and increase liquidity. Unlike VCTs investing in unquoted companies, AIM VCTs have a natural exit route for shares as they are listed, however dealing in large volumes of shares could be difficult and AIM shares can still be illiquid. The investment style is to find, buy and hold companies for the long term. The average holding period is more than five years, according to Mr Hutchinson. Liquidity of companies listed on AIM is the key risk in this VCT, as it can be a volatile market with little trading at certain points. In addition, the discount policy on this VCT is not as strict as others (the discount policy is the level of discount the shares trade at compared to the underlying net asset value). Please remember capital is at risk. VCTs are high risk investments and are not suitable for everyone. Investors should not invest money they cannot afford to lose. The initial charge is 5.5% before any Wealth Club discount. The annual management fee is 2% and the annual fees are capped at 3.6%. Last year the total annual fees amounted to 2.2%. The manager is entitled to a performance fee of 20% of the excess of dividends paid to shareholders above 6p per share per year. This is subject to maintaining a net asset value of at least £1.25 per share and making up any shortfall in dividends missed from previous years. Being the biggest doesn’t always mean being the best. However in our view, as well as being the biggest AIM VCT, Unicorn is a top quality VCT. Its size ensures access to the best new deals coming to the market and the long term approach of Chris Hutchinson and his team gives companies the assurance they are not investing for short term profit. Indeed, as Unicorn has a fund range that also invests considerably in AIM listed companies, management teams have the comfort of knowing that Unicorn has the ability to fund growth in their business for the long term. This VCT comes highly commended.